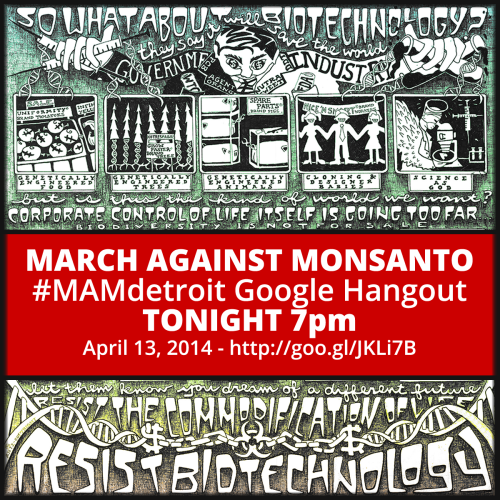 This will be a Google plus hangout - http://goo.gl/JKLi7B is the shortcut to get in. You can join by phone or webcam and have video or no video. You might want to load the hangout software in advance of the meeting. We’ll be discussing a face-to-face meeting April 28 at 6:30pm at 5e Gallery, in Cass Commons, 4605 Cass Ave, Detroit MI 48201 and various manners of demonstration that we can use.